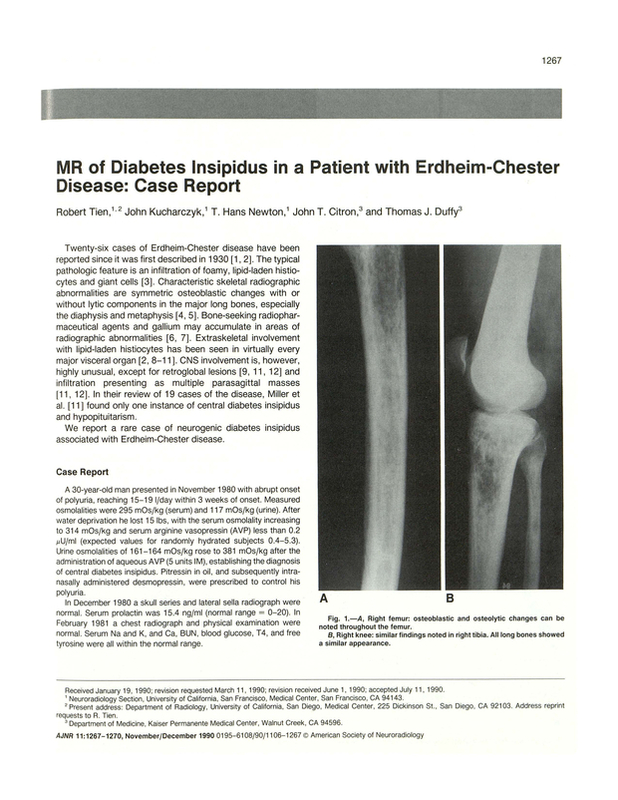 MR of diabetes insipidus in a patient with Erdheim-Chester disease: case report. Neuroradiology Section, University of California, San Francisco 94143. You are going to email the following MR of diabetes insipidus in a patient with Erdheim-Chester disease: case report.